Commuting Solutions would like to invite you to the Third Sustainable Transportation Summit where they will be exploring the future of mobility and innovations in the world of transportation! Upgrading exterior lighting to LEDs can significantly reduce energy use as well as your monthly utility bill. Win, win! Additionally, your upfront costs can be reduced by taking advantage of rebates from both PACE and Xcel Energy. Win, win, win! In fact, rebates could cover up to 50% of your total project cost! Contact your PACE advisor at info@PACEpartners.com or 303-786-7223 to learn more about how your business can be more energy efficient and save on project cost and monthly utility costs. If your property is located in the City of Boulder, it is likely affected by the Outdoor Lighting Ordinance and may also be impacted by the Building Performance Ordinance if it’s over 20,000 square feet. Follow the link to the Outdoor Lighting Ordinance to learn how to comply with the ordinance(s) that affect your property and, if you are planning on an exterior lighting upgrade, be sure to work with a PACE advisor to earn all available rebates. *Qualifying projects must be pre-approved and are based on funding availability. ANDREA’s, a luxury hair salon located in Boulder, is the first business in history to obtain all four PACE certifications! Energy: ANDREA’s resides in the near net-zero building, Boulder Commons. Resource Central’s Slow the Flow program offers a quick and impactful way to evaluate the irrigation practices of your commercial property or HOA and makes simple suggestions for changes that will reduce waste and eliminate runoff. Slow the Flow’s trained technicians perform a detailed analysis of your existing sprinkler system and will provide a comprehensive report detailing findings and recommendations to improve efficiency. The service will provide suggestions that will deliver measurable improvements in water use reduction, saving your business money, and supporting community conservation goals. This no-cost service is available through partnerships with more than two dozen water utilities across Colorado’s Front Range. C-PACE can help local businesses and building owners upgrade their buildings through 100% financed energy efficiency, renewable energy, and water conservation projects. Tracy Phillips, the Director of the Colorado C-PACE Program, will discuss what the Colorado C-PACE program is, how C-PACE works, and how other Colorado building owners have used Colorado C-PACE. Visit the Colorado Renewable Energy Society event page to RSVP. As a green business, how do you show your customers, neighbors, and the greater community that you’re making smart business decisions that will positively affect our natural world, as well as your bottom line? RSVP here. We’d love to see you there! At this green business workshop you’ll learn tricks of the trade from digital marketing professional Matt Lebeau and from other local businesses who do a great job of promoting their sustainable practices. You’ll be able to learn from and network with neighboring businesses to learn what has worked for them, and have technical questions answered by a marketing and sustainability expert. Are you interested in installing an electric vehicle charging station at your property or workplace? Have you ever wondered if there are funding opportunities available to pay for the installation of a charging station? Do you plan on installing a charging station but don’t know where to start? If your City of Boulder building is affected by the Building Performance Ordinance or the Marijuana Cultivation Facilities’ Energy Use Reporting and Offset Requirements, you are welcome to join City staff during two walk-in working sessions for benchmarking facility energy use in ENERGY STAR Portfolio Manager on March 20th and April 30th. These sessions are for building owners, tenants and property managers required to report energy use for compliance with the City of Boulder’s Building Performance Ordinance or Marijuana Energy Reporting. Bring your laptop and sit down with our helpdesk staff for in-person assistance to complete your rating and reporting. Please RSVP for a walk-in session online. Boulder County is committed to addressing climate change at the local level. In 2012, Boulder County committed to reduce countywide greenhouse gas (GHG) emissions by 40% by 2020 based on a 2005 baseline, and in 2018, the county committed to reduce GHG emissions by 45% by 2030 and by 90% by 2050 based on a 2005 baseline. Boulder County completed GHG emission inventories in 2005, 2011, and 2016. Based on the most recent inventory, commercial buildings account for 38% of greenhouse gas emissions countywide. Everyone plays a role in effectively addressing climate change! Does your business have a GHG emission reduction goal or would you like to create one? We’d love to hear from you so we can support and promote your efforts! Contact your PACE advisor at info@PACEpartners.com or 303-786-7223. LED linear ambient fixtures such as a hanging set of fluorescent tubes connected end to end are now eligible for rebates. 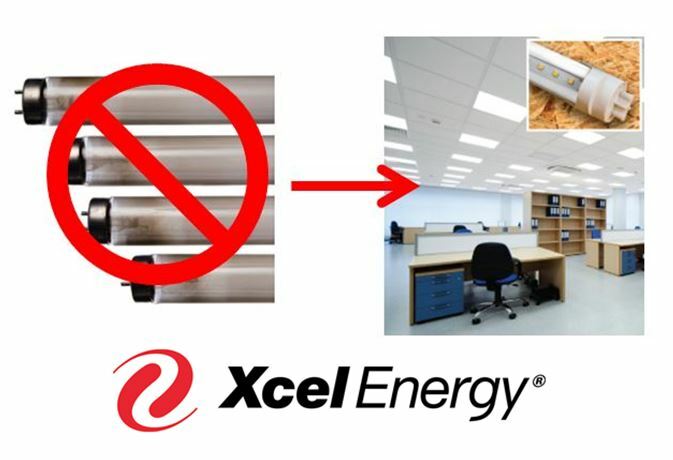 By replacing existing T8 or T12 linear fixtures in your business, you could earn a rebate of up to $75/fixture from Xcel Energy or $1.25 per watt reduced from Efficiency Works. Additionally, you can earn up to $0.75 per watt reduced from the PACE program. These rebates could significantly reduce your out of pocket expense for a lighting upgrade! Being a business in Boulder County has perks! Don’t have linear ambient lighting? Don’t worry! PACE can help you find the rebates that are right for your business. Visit PACEpartners.com for more information or contact your PACE advisor at info@PACEpartners.com or 303-786-7223. Pair these savings with an EV charging station grant for your business from the Regional Air Quality Council (RAQC). This grant could cover up to 80% of the cost of a charging station up to $9,000. This great opportunity is open from now until February 15th. PACE can help! We have a proven track record in assisting businesses with successful applications. Download the application/instructions via Charge Ahead Colorado and contact your PACE advisor at info@PACEpartners.com or 303-786-7223 to learn more. Join PACE and fellow Boulder County auto-repair shops for an open discussion aimed to exchange best practices and determine obtainable goals to increase sustainability in the industry as a whole. PACE will lead this conversation with open discussion from businesses. Learn more about local auto-repair shops that are going above and beyond in their sustainability efforts in this Daily Camera article. New rebate web page with additional details. Increased exterior lighting rebates by 50%. Installing fluorescent fixtures is no longer eligible for rebates. New equipment must be LED or high intensity discharge. Replacement of natural gas powered equipment is no longer be eligible for rebates. As the grid continues to get cleaner, consider moving toward electric appliances to decrease greenhouse gas pollution from natural gas, like heat pump systems, which are eligible for custom rebates. Roof top units remain eligible for PACE rebates for high efficiency air conditioning. All other PACE rebates remain unchanged. Boulder County has allocated $140,000 to fund energy efficiency rebates for businesses throughout Boulder County. The City of Boulder has provided $435,000 from its Climate Action Plan (CAP) tax for additional rebates within the city of Boulder. Additional rebates are also available from Longmont Power and Communications and Xcel Energy. Rebates are first come; first serve. To qualify for a rebate, pre-approval is required on all projects prior to installation. For a complete list of eligible measures as well as program terms and conditions visit PACEpartners.com or contact an advisor today to learn more at info@pacepartners.com or 303.786.7223. If you are considering solar in 2019, it’s important to start inquiring as soon as possible. With this being a great time to complete a solar project, solar companies will likely be very busy. There are also other considerations that could delay a project such as weather, quality of existing supporting structure(s), and permitting as well as the availability of labor and equipment. Contact an advisor today to learn more at info@pacepartners.com or 303.786.7223. During this workshop, local solar installers will bust myths and give helpful tips to keep in mind when considering a solar project. We will also learn about alternatives to rooftop solar, financing options, rebates/incentives, laws, and ordinances. Local businesses, who have already gone solar, will discuss how they accomplished the project, how it’s going now, and tips they learned along the way. Partners for a Clean Environment has been advising businesses for over 20 years and continually evolves to better meet your needs. Help us serve you best by providing your feedback. Please take our short survey. Have you been pondering an upgrade in lighting, equipment, or maybe solar PV? PACE still has rebates available for all businesses located outside of City of Boulder and we are taking waitlist requests for funds in the City of Boulder. Contact PACE today with your project and an advisor will help you check eligibility: info@PACEpartners.com or 303-786-7223. Funding for electric vehicles is also available for nonprofits, who are not eligible for the state tax credit, up to $8,260. Free technical assistance is available from PACE to help draft your grant application and answer questions you might have about EV charging stations. Additional information is available on the Charge Ahead Colorado website or contact PACE at info@PACEpartners.com or 303-786-7223. Ever Wonder Where It Goes… ? Tour the Wastewater Treatment and Recycling Centers! Some real magic happens behind the scenes at our local treatment and recycling systems! Come discover the alchemy that turns goo into gold in these popular tours. 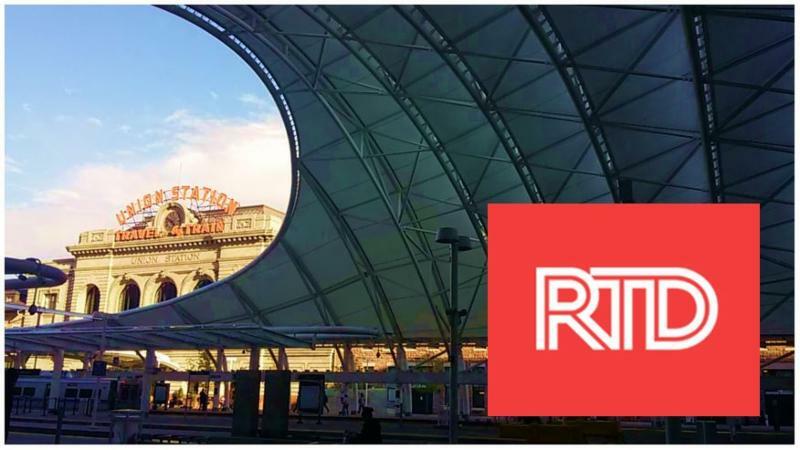 RTD’s proposed changes will affect businesses and employees. Come to RTD’s public meetings to discuss the proposed changes to the EcoPass and other pass programs as well as service changes to the Skip, Bolt, Y, and LD bus routes. These meetings are designed by RTD to inform the public and to obtain input on the proposed changes. Boulder County is updating its Transportation Master Plan and would like the public’s assistance with the process. The update will only be successful with input from people who live, work, and play in Boulder County. A few minutes of your time will provide valuable insight and will help jumpstart the update. Are you an Xcel Energy customer? Have old fluorescent lighting to replace? From August 1, 2016 through December 31, 2018, you can earn generous rebates of $3 to $75 per lamp or fixture when you upgrade T12 fluorescent systems to LEDS. Your PACE advisor can help you find contractors and apply for the rebates. Contact PACE at info@PACEpartners.com or 303-786-7223. 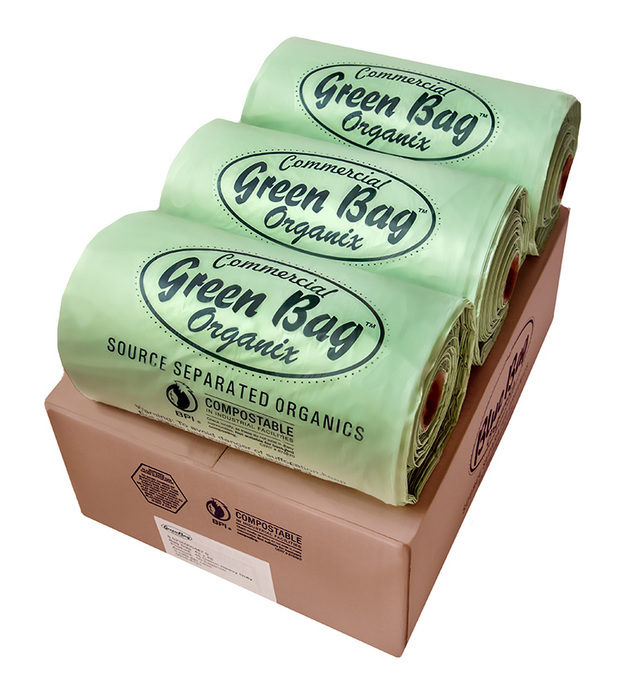 Want to try out compostable bags? If you’re located in the city of Boulder, we’ll help you apply for the city’s Green Bag Giveaway and get up to a six-month supply of bags at no cost! Contact PACE at info@PACEpartners.com or 303-786-7223. The City of Longmont will launch a Sustainable Business Program in 2019, and you can be part of it. The purpose of the program is to support and recognize businesses in the community making substantial efforts to reduce their environmental impact, be socially responsible, and contribute to Longmont’s economic vitality. Participation is free. Businesses will receive cost-saving resources, community recognition, and one on one support. Visit bit.ly/longmont-sustainable-business or call 303-774-3514 to register and learn more. It may be hard to believe, but now is the time to get ready for winter! PACE can help identify opportunities to insulate and tune equipment, including building HVAC tune ups and pipe insulation rebates. 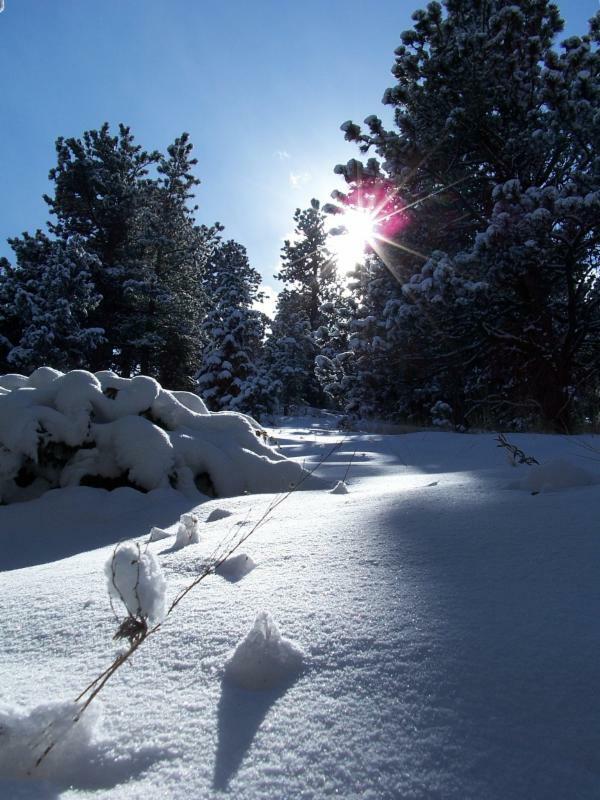 Don’t be left in the cold… Contact PACE today at info@PACEpartners.com or 303-786-7223. Want some fast numbers on potential energy improvements? Check out HBC Energy Capital’s new online tool to customize lease, and loan financing options for commercial and nonprofit energy upgrades such as lighting, HVAC and renewable energy. With simple input and in less than two minute’s time, users can create a financing estimate pulling from a matrix of HBC’s lender partners’ rates. Estimates include a monthly cash flow analysis and are presented in a clear, easily understandable format for both contractors and customers. The City of Longmont’s first Sustainable Business Program is on track to officially launch in late 2018, and you can be part of it. The purpose of the program is to support and recognize businesses in the community making substantial efforts to reduce their environmental impact, act socially responsible, and contribute to the economic vitality of the Longmont. Participation is free. Businesses will receive cost-saving resources, community recognition, and one on one support. Visit bit.ly/longmont-sustainable-business or call 303-774-3514 to register to learn more. Matt Hannon spoke at the 2018 Green Business program launch event. Be featured on the city Green Business recognition page. Be recognized by city council. Receive a certificate and a decal to display at your business to convey your commitment to supporting the city’s sustainability goals. Receive expert guidance and support every step of the way. Additionally, businesses will have the chance to participate in workshops that will improve their green practices and bottom line, have access to networking events, local “green” tours, and other educational opportunities throughout the year. Congratulations to all of the Boulder County Best for Colorado Winners! Best for Colorado is a program that recognizes not only the best businesses of Colorado, but the best businesses for Colorado. More than 300 companies participated in the Best for Colorado program by completing a 30-minute online Challenge assessment and took a pledge to continue their journey of impact measurement, management, and improvement. Sixteen of these companies have been awarded Honoree status, who are recognized for their high scores on the B Impact Assessment, based on performance by impact area in three categories; environment, community, and workers. Eight of the Honorees are from Boulder County! 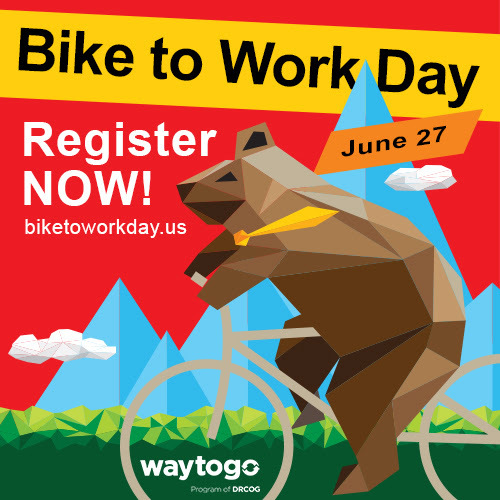 Bike to Work Day is happening June 27, and this year features an added element to boost participation from local businesses with the Business Challenge. PACE encourages businesses to put their employees to the test and compete against other similarly sized businesses for first-place recognition. For more information about the Business Challenge check out the company coordinator toolkit. Just looking to register or find the best free food? Introducing Bike Wednesdays – Win free Shimano gear! Building on the momentum of Bike to Work Day and to keep people cycling, Commuting Solutions is launching a new program, Bike Wednesdays. To help inspire commute behavior change beyond Bike to Work Day, Bike Wednesdays will start in July. Log two or more trips with Commuting Solutions in the My Way to Go network and email jade@commutingsolutions.org to win Shimano gear! PACE Energy Rebates Still Available! Xcel Energy’s Renewable*Connect Solar Garden Opens For Businesses! Want solar but don’t have the capital or roof space? How about a solar garden subscription? Xcel Energy’s Solar Connect is opening soon, and it will be available to businesses on the C (Commercial) rate (those with electricity demand under 25kW) starting in April. This new solar garden will fill up very quickly, so watch this site for applications! Larger business customers can apply starting June 6th. Renewable*Connect is Xcel Energy’s newest clean energy program, offering residential and business customers the opportunity to receive easy, low-cost solar energy with a chance to save. The program provides simple access to a newly constructed renewable resource. Customers can subscribe to a dedicated new 50 MW solar farm near Deer Trail, Colorado in eastern Arapahoe County. 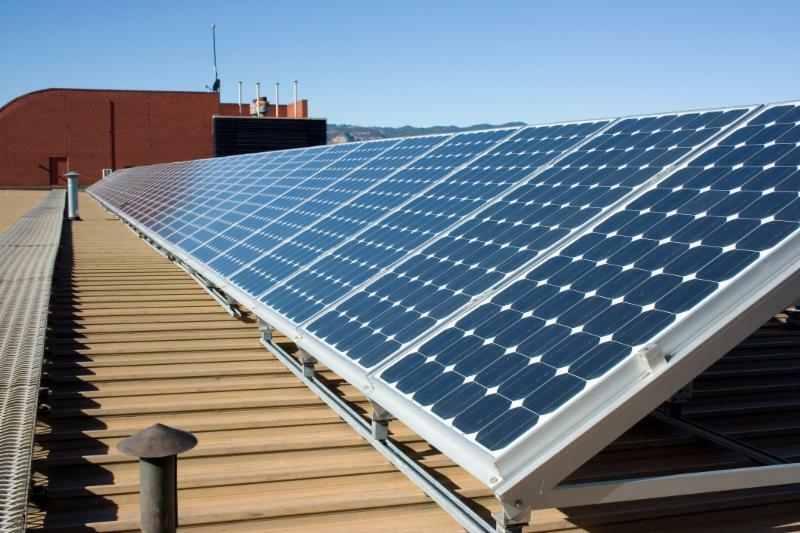 Participants won’t have to deal with long-term lease or loan offers, on-site solar panels or equipment maintenance. Residential and business customers can participate in solar with no-installation costs and no down payment or upfront investment. They can choose to power some or all of their energy needs with the full benefits of solar under convenient month-to-month, 5-year and 10-year subscription terms. Subscription limitations do apply. Renewable*Connect offers the potential to save money. Pre-determined and fixed price schedules are set for the life of the contract. The longer the contract, the more economical it could be. For companies and organizations with set sustainability goals, the program provides a way to meet these goals and claim their renewable energy usage by having Renewable Energy Credits (RECs) retired on their behalf. All Renewable*Connect energy will be Green-e Energy certified to meet environmental and consumer-protection standards set forth by the nonprofit Center for Resource Solutions. For more information, visit Renewable*Connect online. Questions can be directed to Jaclyn at RenewableConnectCO@xcelenergy.com. Slow the Flow This Summer! Whether you have a little landscaping or a lot, your business can improve your sprinkler system’s efficiency with a free sprinkler consultation! Resource Central’s trained technicians will run a few tests to check your sprinklers’ efficiency and diagnose any problems your system might have. Plus, you’ll receive a customized watering schedule to reduce water usage and keep your grass healthy all summer long. Sign up HERE. Want a beautiful, water-wise garden…for FREE? The City of Boulder is offering its first-ever Turf Replacement Program in partnership with local non-profit, Resource Central. It rewards community members with the information, tools and materials to easily convert 200 sq. ft. (or more) of grass into a vibrant, low-water landscape. Sign up HERE. For 2018, Boulder County is offering a 70 percent reimbursement for RTD EcoPasses or MyRide cards to businesses in Lafayette who participate in the Lafayette Green Business program. EcoPass – An annual program that provides unlimited trips on RTD services for every employee in the business. MyRide-A reloadable payment card that can be used on all RTD services. Due to the pricing structure for EcoPasses, preloaded MyRide cards may be a better option for smaller businesses. 10 or fewer employees, preloaded MyRide cards are the most economical. More than 10 employees, your business can choose to offer MyRide Cards or EcoPasses to your employees. Businesses must be located in Lafayette and on commercial utility meters. Businesses outside of Lafayette are encouraged to contact PACE to find out what other existing EcoPass promotions are available in Boulder County. Businesses must participate in the Lafayette Green Business program, either previously or newly enrolled in 2018. Businesses with existing EcoPass contracts are not eligible. Program funds are limited and available first come, first serve. The program runs on the calendar year, so sign up now to get maximum value from your EcoPass. Contact PACE at info@PACEpartners.com or 303-786-7223 to indicate your interest, learn more, or confirm your eligibility. **This step is required prior to the purchase of your pass. Complete your application for the Lafayette Green Business program. PACE and our partners will help you navigate the pass purchase process. Submit your pass invoice to PACE for reimbursement. Reminder, businesses are encouraged to sign up for the program now to get maximum value from the program as EcoPass contracts run on a calendar year basis and the pilot program funds are limited. This pilot program was inspired by winning submission for last year’s “No Fare Lafayette” transit promotion contest, submitted by Lafayette’s own Elise Rooney of Rockton Software. Partners for a Clean Environment (PACE) will continue to provide rebates in 2018 to help your business improve its energy efficiency and generate renewable energy! Boulder County has allocated $140,000 to fund energy efficiency rebates for businesses throughout Boulder County. 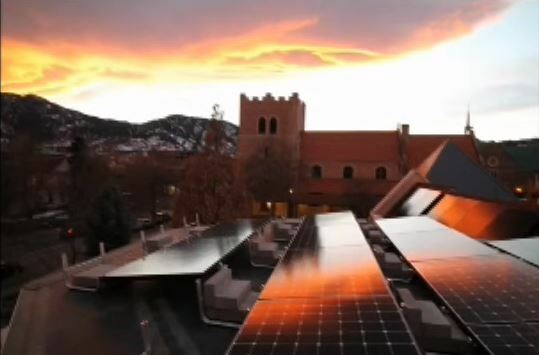 The City of Boulder has provided $600,000 from its Climate Action Plan (CAP) tax for additional rebates in Boulder, as well as incentives to offset the costs of energy audits required by the City’s Building Performance Ordinance. Rebates will be limited such that the simple payback period for any project, with all rebates and incentives deducted from total project costs, is not less than two years. The total of all rebates and incentives cannot exceed 50% of total project costs. Rebate Reservations: A signed contract will be required to reserve rebates over $5,000. A contractor bid signed by the business indicating intent to proceed will be required to reserve rebates between $1,000 and $5,000. 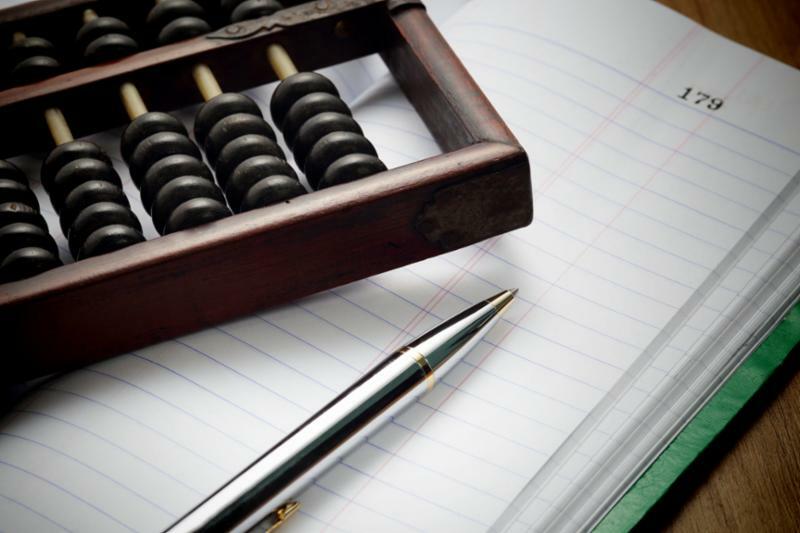 The list of eligible measures and rebate amounts have stayed the same for 2018. EnergySmart is still offering rebates of $1 per watt for all electric-generating renewable energy measures up to a maximum rebate amount of $15,000. In addition to rebates for lighting, HVAC and renewable energy projects, PACE also offers rebates for building envelope, compressors, motors, fans, pumps, and office and food service equipment. PACE is taking steps to further integrate social justice into its programs and services. We will be conducting focused outreach to Small Disadvantaged Businesses and earmarking a portion of our rebate funds for those businesses. Pre-approval is required before installation, and these rebate funds always go quickly, so don’t miss your chance to join the over 1,300 businesses that have received PACE rebates. Contact a PACE advisor to reserve your rebate today at 303.786.7223 or info@pacepartners.com! Visit PACEpartners.com for program terms and conditions and to learn how PACE advisors can help your business reach its sustainability goals. If you have refrigeration or are responsible for air conditioning equipment, these requirements may affect you. Here is a handy summary of the new requirements, and the full set of EPA fact sheets. A sheet dedicated to Supermarkets and Property and Facility Managers is available here. Keep it Clean – We’re all Downstream! Store excess, plowed snow on a pervious (non-paved or landscaped) area where melt water can infiltrate into the ground. Sweep or clean parking lots, parking garages, stormwater inlets, catch basins, culverts, concrete drainage pans, or other drainage structures in the fall and the spring, and after major snowstorms. Clean up any fluid spills or leaks using dry clean-up methods (absorbents and sweeping). Ensure that drains located within parking garages discharge to the sanitary sewer, not to the storm drain system. Use salt and/or deicers sparingly. If truck-applying salts and deicers, use the lowest application rate that will be effective and ensure that the application equipment is calibrated. Never plow or blow snow, salt, sand, deicers, or other debris directly into creeks, rivers, or ponds. This dirt and debris will run right into the storm drain! CarSharing is a more convenient type of car rental that can be used as little as 15 minutes, a few hours, or multiple days. Users can book vehicles anytime through the reservation system and access them on their own with their membership card. The vehicles are picked up and returned to the same location and users only pay for the time and distance they used the vehicle. eGo CarShare is Colorado’s first and only non-profit carsharing organization operating in Boulder County and Denver. A business eGo CarShare membership replaces the need of managing an in-house fleet or reimbursing employees for parking, mileage and gas. Extremely affordable and convenient, your business can also say goodbye to the rising costs of gas, insurance, maintenance and a parking spot. Multiply these figures by 50, and ask the 2,900+ members who rely on eGo on a daily basis, and you can see the impact our entire fleet is having in the community each year! Learn more about our business and non-profit memberships and rates at http://carshare.org/business-nonprofit-rates/ or email peter@carshare.org. Zipcar is the world leader in providing ‘wheels when you want them’ — a revolutionary mobility service that gives members on demand access to a variety of cars in cities, campuses and airports, by the hour or day. Zipcar helps consumers, businesses and governments save money and hassle, while helping make cities better places to live through smart and efficient transportation. Zipcar is a subsidiary of Avis Budget Group, Inc. (Nasdaq: CAR), a leading global provider of vehicle rental services. Zipcar provides over 950,000 members on-demand access to more than 12,000 vehicles in urban areas on college campuses and at airports across the United States, Canada, the United Kingdom, Spain, Austria, France, Germany and Turkey. Amid this summer’s highs and lows, local government and business leaders have reaffirmed their commitment to the Paris Climate Agreement in light of the federal government’s promised withdrawal. Some have independent resolutions, while others have declared their commitment through We Are Still In, an open letter to the international community and parties to the Paris Agreement from U.S. state, local, and business leaders that support action on climate change. Business leaders are stepping forward. At least 25 companies in Boulder alone (including many Partners for a Clean Environment (PACE) Partners) have signed on to the letter, which is still open for signing at wearestillin.com. In 2017, the Boulder County Board of County Commissioners issued a written resolution, a new presentation with some fascinating data about economic costs that Boulder County faces due to climate change impacts will be presented to the Board of County Commissioners on April 10, 2018. The City Of Boulder reaffirmed its climate commitments through Climate Mayors, a network working towards binding commitments to greenhouse gas emissions reductions. 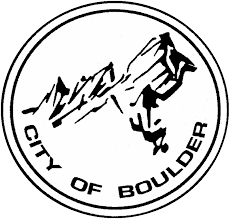 The City of Boulder also signed on to We Are Still In. 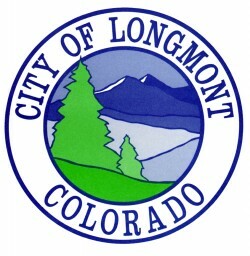 The City of Longmont, which adopted its Sustainability Plan in November, also appears on We Are Still In, as does the Town of Lyons, whose Environmental Sustainability Action Plan was already in the works before the 2013 flooding that devastated that community and deeply affected Boulder County. The City of Louisville’s City Council advanced its commitment to a healthy and sustainable community by voting in July of 2017 to adopt Resolution 34-2017 in support of the Paris Climate Agreement. The City of Lafayette passed a Climate Bill of Rights ordinance in March of 2017. The Town of Nederland is a signatory to the 2007-06 U.S. Mayors’ Climate Protection Agreement. Restaurant owners…do you have a grease bin out back? Do you know if it’s leaking or full? A leaking bin or spilled grease is considered an “illegal discharge” since the grease can be carried to a storm drain and eventually to a creek or river during the next rain storm. Any materials spilled onto parking lots, alleys, or streets can run off into the water supply. Your local municipality has a stormwater ordinance and could issue you a violation and a fine for illegal discharges. These photos show poorly maintained grease storage bins and illegal spills on the pavement right here in Boulder County. You already know about PACE’s services for businesses, but did you know that Boulder County also offers residential energy efficiency and sustainable transportation programs for residents? Would you like to schedule a presentation or would you like to learn more about it? Please contact PACE advisors at 303-786-PACE for more information. The Universal Zero Waste Ordinance applies to all Boulder property managers and businesses. A PACE advisor can help you set up the service, bins, and signs that you’ll need and will train your staff on how to divert waste from the landfill to get to Zero Waste…or darn near. The Boulder Building Performance Ordinance applies to large industrial campuses and existing buildings that are 50,000 square feet (sf) or larger, as well as new buildings that are 10,000 sf or larger. A PACE advisor can help you get familiar with the ENERGY STAR Portfolio Manager, the initial requirement for energy tracking. ENERGY STAR-certified buildings are exempted from the ordinance. Your advisor can help you determine if you’re close to the Portfolio Manager benchmark score that is required for exemption, help you complete the upgrades that can get you there, and help you get certified. Compliance is not a heavy lift with PACE assistance; all of the more than 120 businesses affected by the Building Performance Ordinance in 2017 achieved compliance! The Boulder Marijuana Facility Energy Requirements ensure that one of our fastest-growing and most energy-intensive industries is green in every sense. A PACE advisor can help you to understand your options under the renewable energy offset requirements and get your business set up. Contact your PACE advisor now, call our hotline at 303-786-7223, or visit info@PACEpartners.com. Is your business among the Best in Colorado? Complete the free online Quick Impact Assessment, to see where your business excels and where you could improve to strengthen your bottom line and improve your company’s impact on Colorado’s workers, communities, and the environment. Show your employees, customers, and community that your business is competing to be the Best for Colorado, and receive recognition as part of the statewide Best for Colorado campaign. Why Should Your Businesses Participate? Best for Colorado inspires and equips local businesses with the tools to measure and improve business practices that strengthen their bottom line and improve quality of life in their communities. Over 100 businesses have already completed the challenge during this inaugural year of Best for Colorado. Strengthen Your Bottom Line: Companies that use business as a force for good are identifying untapped assets and opportunities for growth. They’re also winning the loyalty of their customers, investors, and employees. Promote Your Business: Earn your badge and share how your business is competing to be the Best for Colorado with your employees, customers, and community. Access Unique Services: Access unique tools, services, and resources from multiple business support organizations that can help you to strengthen your bottom line and improve your business practices. Join a Growing Network of Businesses That Measure and Improve Impact: Best for Colorado is led by 80 B Corps (i.e. businesses that are certified for their triple-bottom line impacts). These businesses are looking forward to helping others improve their impact. Take the assessment today! A PACE certification showcases to your customers and peers that your business has achieved a high level of environmental performance. Certified PACE Partners are eligible for various forms of community recognition. Let us help you share your sustainability success stories! Transportation – More commuters take sustainable modes of transportation to work than the PACE Transporation Icon Largeaverage for the city/town. Energy – EnergyStar Portfolio Manager score of 75 or better. 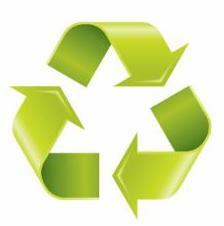 Waste – Diversion of at least 70 percent of waste away from the landfill. 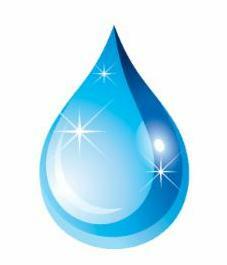 Water – Water savings of 15 percent better than use predicted by code. Designate an employee transportation coordinator. Join a transportation management organization. 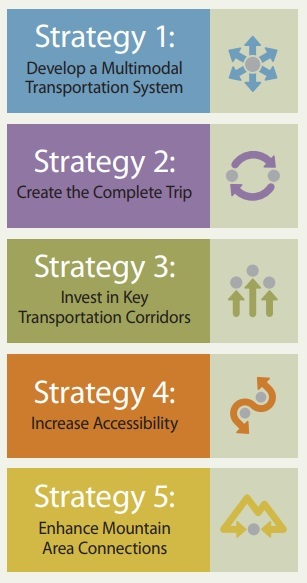 Regularly communicate about transportation options. Provide a pre-tax transit/vanpool subsidy. Provide subsidized vanpool, carpool, carshare, bikeshare, or taxi (including Lyft and Uber) benefits. Offer financial incentives for employees not driving alone to work. Create employee commuting award or recognition programs. Install an electric vehicle charging station. Contact your PACE advisor today at info@PACEpartners.com or 303-786-7223 to determine your eligibility for certification and to receive advice on how to improve your performance. CarSharing is a more convenient type of car rental that can be used as little as 15 minutes, to a few hours, or for multiple days. Users can reserve vehicles any time through the reservation system and access them on their own with their membership card. The vehicles are picked up and returned to the same location, and users only pay for the time and distance they used the vehicle. Cuts costs on the purchase and maintenance of vehicles. Gas, insurance, and maintenance are all included. Advanced scheduling software allows fewer vehicles to serve a larger number of employees. No upfront costs: converts vehicle ownership from a fixed cost to a variable cost. Automatic employee mileage tracking and reporting. Low administrative overhead; simplified mileage reimbursement process. Encourages employees to take sustainable commute transportation options by offering a vehicle to use when needed during the workday. Discounts may be available for usage during business hours. eGo CarShare started in 2001 as Colorado’s first nonprofit carshare organization, as well as one of the first in the nation. Their mission is to empower people to live a car-lite lifestyle and have a positive impact on the environment, their community, their health. They provide access to a network of 50+ energy-efficient vehicles throughout Boulder and Denver, providing members with improved mobility, cost savings, and environmental benefits. As a local nonprofit carshare organization, we eGo Carshare is specifically focused on supporting the local community. In addition to more mainstream markets, they also serve underserved areas, and therefore the entire community. In doing so, they have cars throughout the city, providing needed transportation where people both live AND work. This means Boulder County residents and employees have a real, viable alternative to car ownership or can feasibly downsize the number of households cars. The better performing locations (e.g. downtown cars) enable them to place cars in other areas, such as low-income neighborhoods. 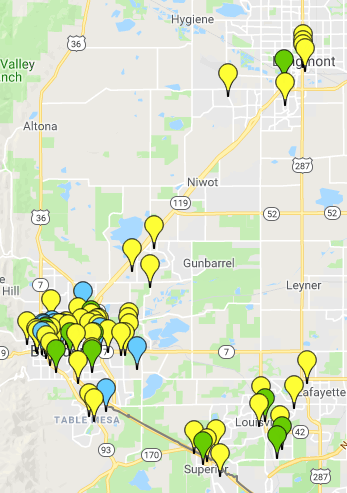 Having a network of locations which serve the entire Boulder County community translates into more impactful and equitable mobility options for everyone. They actively work to keep their margins, and therefore their rates, as low as possible so that they are affordable for businesses, students, residents, and employees of all income levels. Additionally, as a local non-profit, money stays and is reinvested in the local community through other mission-driven activity, such as education and outreach, local employment, and internships for local university students and others in the community. Zipcar gives members on-demand access to a variety of cars in cities, campuses, and airports, by the hour or day. Zipcar helps consumers, businesses, and governments save money and hassle while helping to make cities better places to live through smart and efficient transportation. Zipcar is a subsidiary of Avis Budget Group, Inc. (Nasdaq: CAR), a leading global provider of vehicle rental services. Zipcar provides over 950,000 members on-demand access to more than 12,000 vehicles in urban areas on college campuses and at airports across the United States, Canada, the United Kingdom, Spain, Austria, France, Germany, and Turkey. Zipcar operates in over 30 major metro markets, at over 500 college campuses, and at over 50 airports. Zipcar fills a vital need for many types of people, including those who rely on public transportation, who seek the convenience and flexibility that the bus and train can’t always provide, as well as car lovers who seek the freedom and joy of driving but want to avoid the cost and hassle of owning a car in the city. Zipcar offers members a fleet of vehicles with over 50 different makes and models, including hybrids, SUVs, pickup trucks, luxury vehicles, minivans, and cargo vans. The Zipcar mobile app for iPhone and Android makes finding and reserving Zipcars easy and quick. You can even honk the horn to locate your car and unlock the doors through your mobile device. Membership costs $70/year or $7/month and hourly rates start at just $8.25/ hour with our Occasional Driving Plan, making Zipcar a cost-effective alternative to car ownership. Zipcar also offers discounted weekday driving rates for Zipcar4Business customers and membership to students 18+ on select campuses. Zipcar takes care of gas, insurance, maintenance, and a dedicated parking spot. All reservations include 180 miles of driving per day. Want to keep up with PACE? Email info@PACEpartners.com and ask to receive our quarterly e-newsletter! Does your business want to attract new customers? Offer more amenities to your employees? In support of healthy and sustainable lifestyles, businesses can now get free bike racks and assistance with siting the racks on their property. If you are an interested business owner, please call 303-786-7223 or email info@PACEpartners.com. Learn how John’s Cleaners business owners, John and Wendy Ellwood, upgraded lighting, heating units and installed 140 panels using PACE’s Energy Rebate Program in this Daily Camera Article. Have you been considering an EV charging station for your business? Contact PACE today if you’re thinking about installing an electric vehicle charging station at your workplace in 2017. PACE advisors are available to provide more information, assist with charging station grant applications, help you navigate installing your station. Call a PACE business sustainability advisor at 303-786-7223 to learn more. The City of Lafayette partnered with PACE to recognize local businesses who are making sustainable strides in the areas of energy, waste, water and transportation. 41 businesses were recognized for their efforts. Read more in the Colorado Hometown Weekly article. While supplies last, PACE will install a free high-efficiency pre-rinse spray valve (used to rinse dishes before they are put into the dishwasher) to help restaurants, worship facilities, and commercial kitchens save water, energy, and MONEY! Contact your PACE advisor today or call 303-786-7223. To enhance recycling and compost collection, businesses in Boulder County are eligible to receive up to $300 towards the purchase of interior recycling and composting bins. This offer is first-come, first-serve so don’t delay. Call a PACE business sustainability advisor at 303-786-7223 or email info@PACEpartners.com. “The Town of Nederland is partnering with Boulder County’s Partners for a Clean Environment (PACE) to help local businesses become more energy and water efficient.” Read the whole article. Listen to the 5-minute interview with Lea Yancey, PACE spokesperson and Boulder County community sustainability specialist. Many of you have worked with us to streamline sustainability services and make it easier for you to access advising, do-it-yourself resources and financial incentives. As part of this effort, the 10forChange program is transitioning into the newly expanded PACE service. A big thank you to each business and organization that has participated in 10forChange since its inception in 2008. We look forward to continuing to support you in achieving your sustainability goals as PACE Partners!